At Britestyle, we know that your door isn’t just the entrance to your home. It gives any visitor their first impression of where you live, and should be built to last. Equally, the right replacement door can seriously enhance the value of your property. 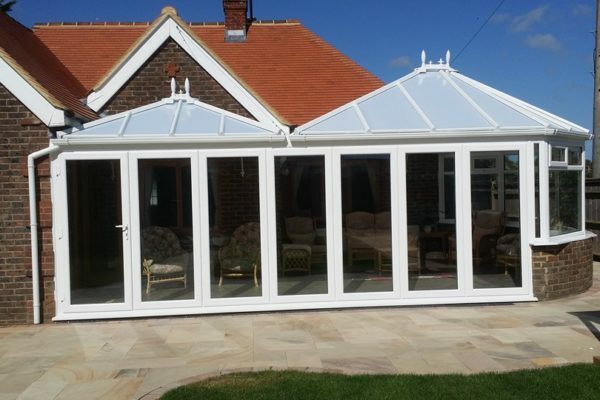 We offer a range of hardwearing models in different styles and in more than 150 RAL colours to suit a wide variety of properties and add that extra dash of panache. You can also choose a range of colours for your hardware including handles, hinges and letterplate. With fuss-free fitting and industry-leading guarantees on parts and labour plus extensive insurance cover, we offer our customers across Eastbourne and beyond complete peace of mind. We’ll be with you every step of the way, from our no-charge, no-obligation initial assessment through to our unrivalled after-sales care. And we fully appreciate that a new door is a considerable investment, and not the sort of thing you want to buy every week. So we won’t make you feel rushed. The strength and rigidity of our uPVC doors mean that the highest-quality locking mechanisms can be fitted. What’s more, our doors meet the stringent BS7950 and PAS 23/24 standards on security and qualify for Secured by Design certification. Click on one of the door types to learn more – and call us today for your free quote! As their name suggests, these are made from multiple materials, ensuring outstanding strength, durability and an elegant appearance. The core may contain woods, insulating materials and other layers, all protected by a weather-resistant outer skin. Having different materials means you get to enjoy the best of all worlds.Benefits include great insulating properties and a high level of security. There’s excellent resistance to all forms of wear and tear, and these doors don’t respond to seasonal changes. You also get an attractive appearance with many appealing colours and finishes to choose from, including, for example, a realistic woodgrain effect. These slide open, and are made from a series of panels which fold up against the wall, concertina-style. Because they pull open from the centre, you get access to what’s behind it in a single, swift motion. You don’t get any of the ‘shuddering’ you can experience with the alternatives. Bifold doors help bring the outside – i.e. your garden – indoors, and maximise natural light while taking up very little space when open. You can also look forward to enhanced security, great flexibility and almost no maintenance. We have a range of bifold doors in gorgeous designs and styles tailored to suit your home – not to mention some 150 RAL colours to choose from. Finally, our bifolding doors have a low threshold so you can easily slide them open, and bring your garden inside, or combine two rooms into one. 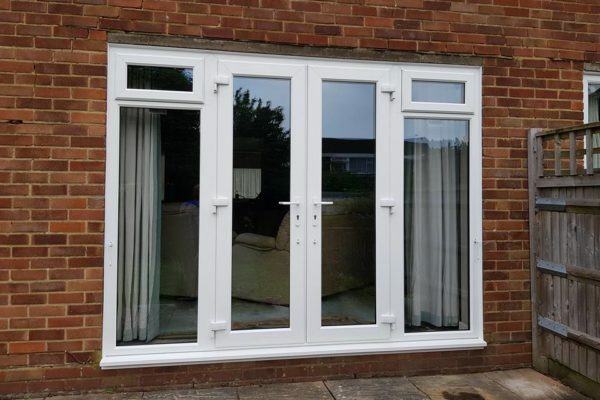 Whether you go for sliding or French models, patio doors are a popular option, since they bring so much natural light and fresh air into your home. They are a long-term, low-cost upgrade. They can also help save on energy bills, increase your home’s value and seamlessly integrate outdoor and indoor living spaces. Our models feature an easy-glide track system, a low threshold option and are available in a range of colour choices. Talk to us about our patio doors today. With all back doors, security is clearly vital. 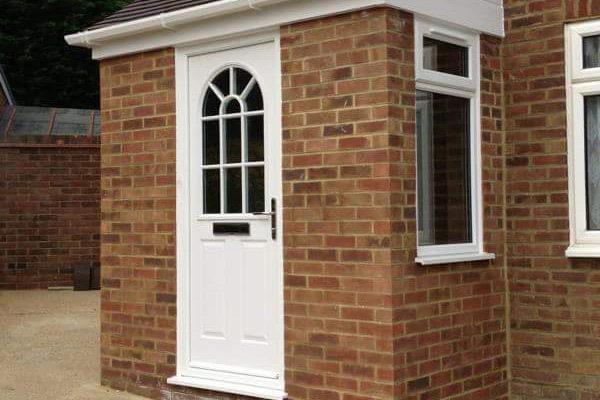 Our sturdy composite models are the obvious choice, and much thicker than the standard uPVC product. We offer police-approved, multi-point locking systems for enhanced security, and toughened safety glass with a kitemark to prove quality. 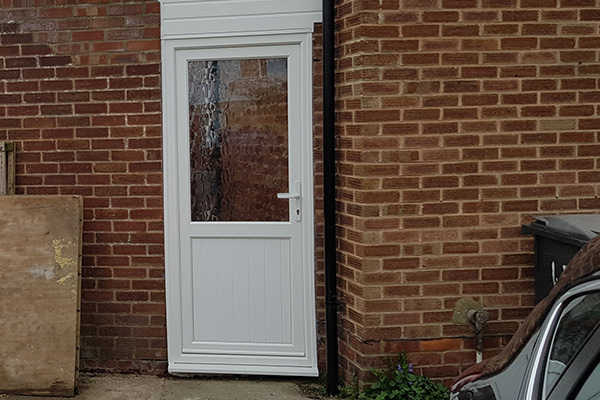 Our skilled fitters will install a back door from one of our range of designs, tailored to your property and built to stand the test of time while protecting your home and family extremely well. We also offer a great choice of hardware, and, with us, value, quality and service come as standard. The ideal front door creates a stunning entrance to your property while setting the tone for what lies beyond it. It contributes massively to the outside of your home, and can make a statement – so it’s certainly not just functional. 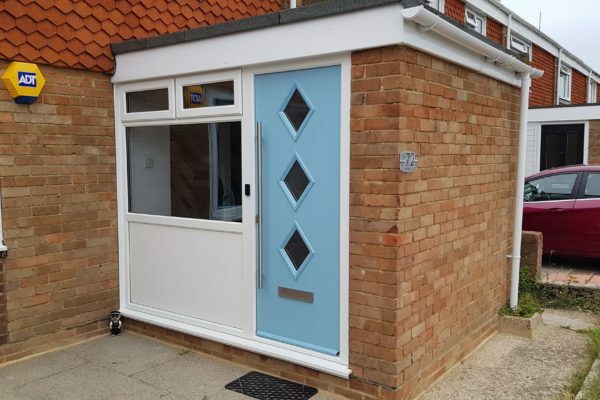 At Britestyle, ours are made from the highest quality uPVC to provide maximum strength and rigidity, and allow the best locking mechanisms to be fitted. All meet stringent national security standards, and can achieve Secured by Design certification. Choose from dozens of different colours and from a beautiful line-up of hardware options for handles, hinges and more. Not sure what front door would best suit your home? Give us a call – we’re happy to talk you through our product range.